Adam Conway, founder and managing director, gained more than a decade of experience in the financial services industry before opening Harbor Retirement Planning. In a career dedicated to improving the retirement plan market, he has worked with plan sponsors and participants as both a financial advisor and a regional vice president with a major retirement plan provider. 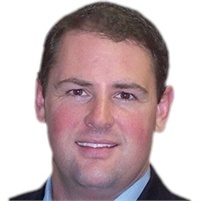 He is a frequent speaker on topics related to Retirement Plans and Wealth Management. Adam holds the FINRA Series 7, 24, 63 and 65 registrations through LPL Financial, in addition to life and variable insurance licenses, and he received his undergraduate degree from Babson College. 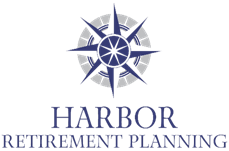 Harbor Retirement Planning is backed by the resources of LPL Financial, the nation’s largest independent broker/dealer. * This relationship provides us with industry-leading, objective research and a comprehensive array of tools, resources and technology. Because LPL Financial has no proprietary products to sell, we have the freedom to offer you objective financial guidance and investment recommendations. Whether you are seeking the most appropriate retirement plan for your employees or the most desirable wealth management strategy for yourself, you need guidance from a team dedicated to providing impartial advice and innovative strategies. It would be our pleasure to provide that guidance. We invite you to call us at (813) 789-4846 to schedule a no-obligation consultation.